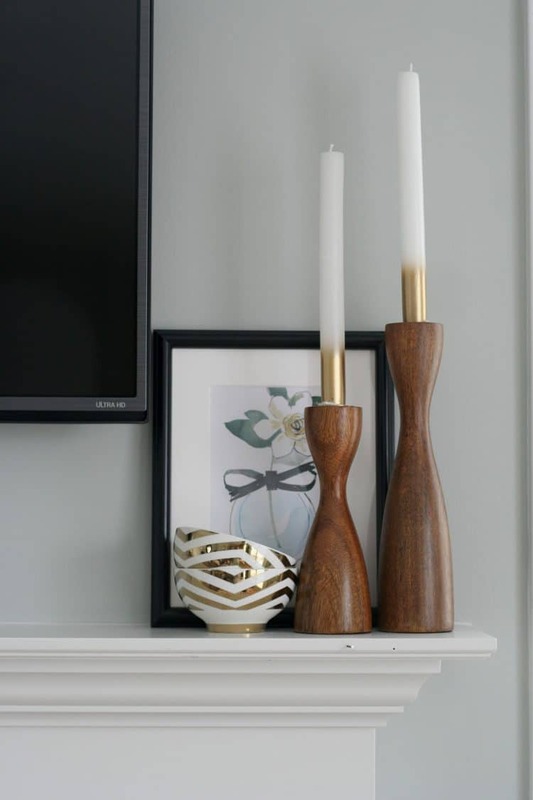 Colette here again from Restyle it Wright to share some more budget-friendly ways to spruce up your home! 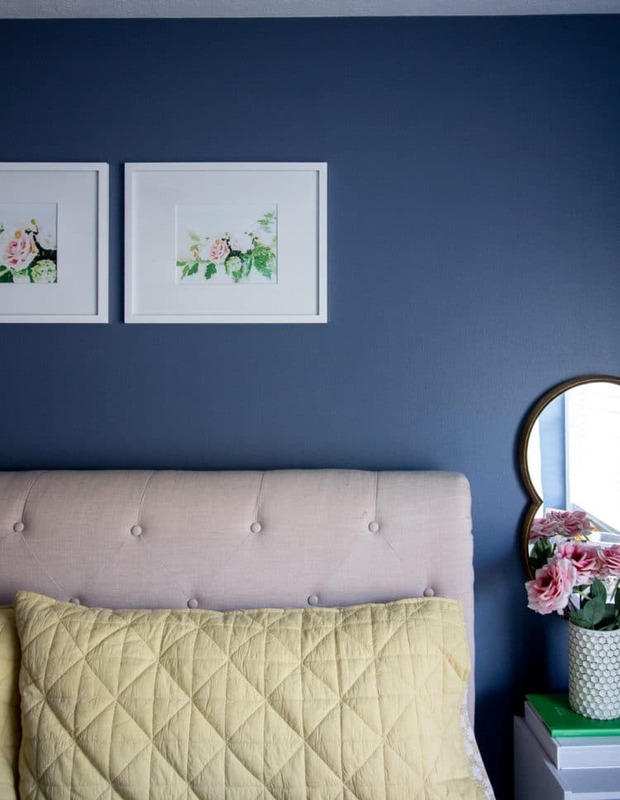 Today we are going to chat about how to fill your home with inexpensive, but oh so lovely, wall art. Family and friends are always amazed when they come to my house by a) how many floral things I have and b) the art I have on my walls. When I tell them how affordable these pieces are they can’t believe it! 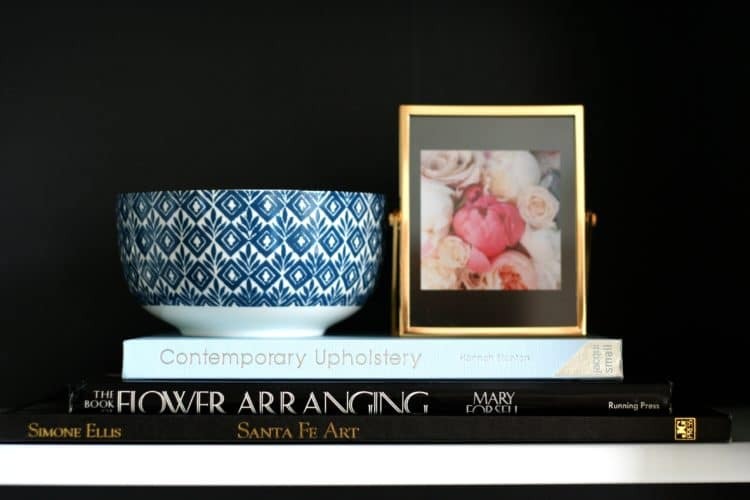 So I thought I’d take you on a little art tour of my home and peel back the curtain on some of my favorite sources. There are oodles of free printables from bloggers – so many creative folks out there! You can download, a print on cardstock paper, and frame for unique art that only cost you a printing fee or even free if you print from home! In our formal living room, I took this free Black and White Floral Print and ordered an engineer print from Staples for less than $10. I placed into a thrifted/spray painted frame and I absolutely love it – and I love that it cost so little! 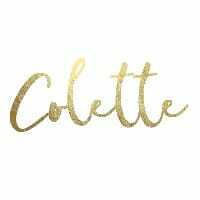 These Gold Feather Prints came from the Oh So Lovely Blog – she literally has hundreds of free printables she has designed to use for any season or decor type. I loved how classic the gold feathers were! I printed them right from home onto card stock and popped into a frame I had on hand. 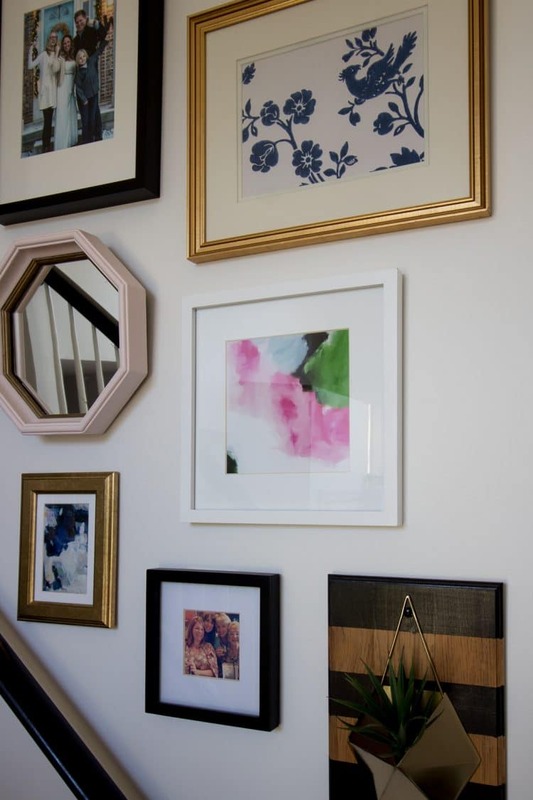 Instant gallery wall, friends! 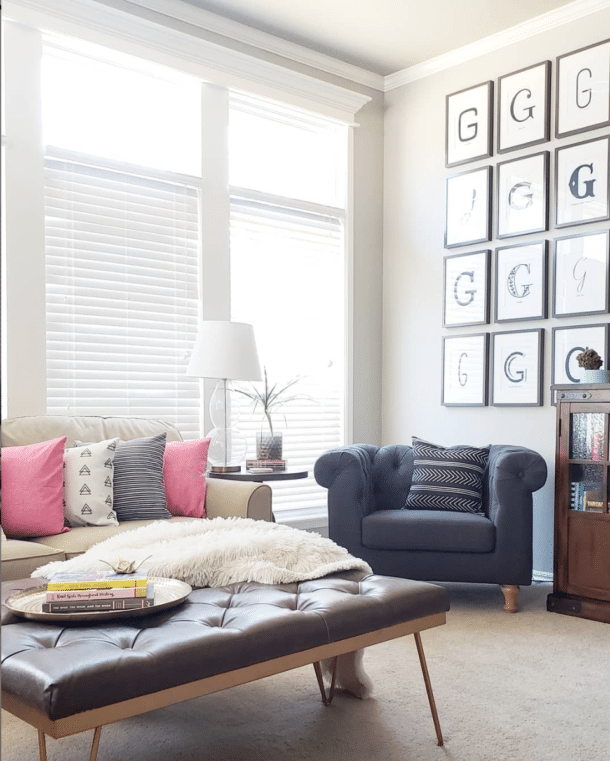 I used that same method for some art above our bed from Jen at I Heart Organizing. Much like the freebies you can find around the internet – instant downloadable prints are a-plenty online. There’s a whole new market for this type of click/purchase/print art because it’s so cost-effective and instantly gratifying. I LOVE buying art prints in this form but be ready to be overwhelmed by the many options out there! 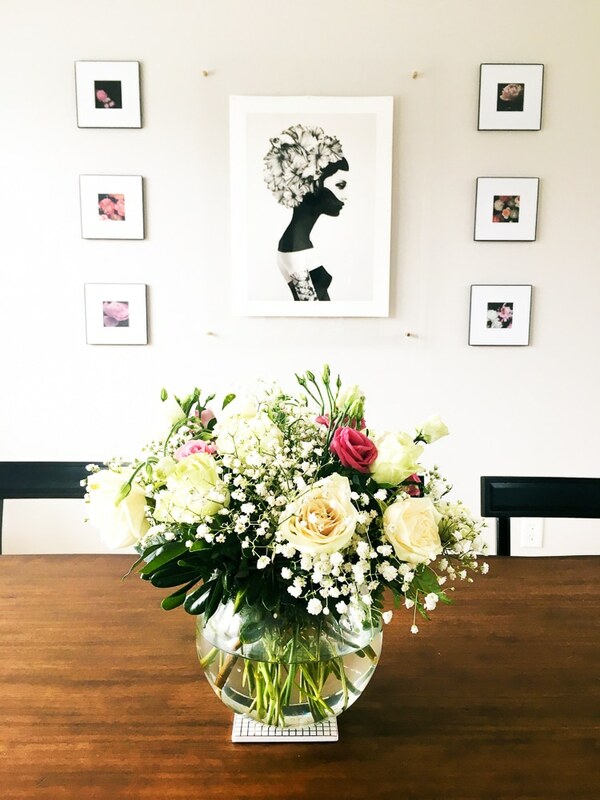 Try and narrow your focus to something like floral, typography, or geometric when searching for this type of art if you have something specific in mind. Most prints are $10 or less and you can use them over and over again and often change their size to whatever suits your needs since they are high-resolution files. The possibilities are endless! 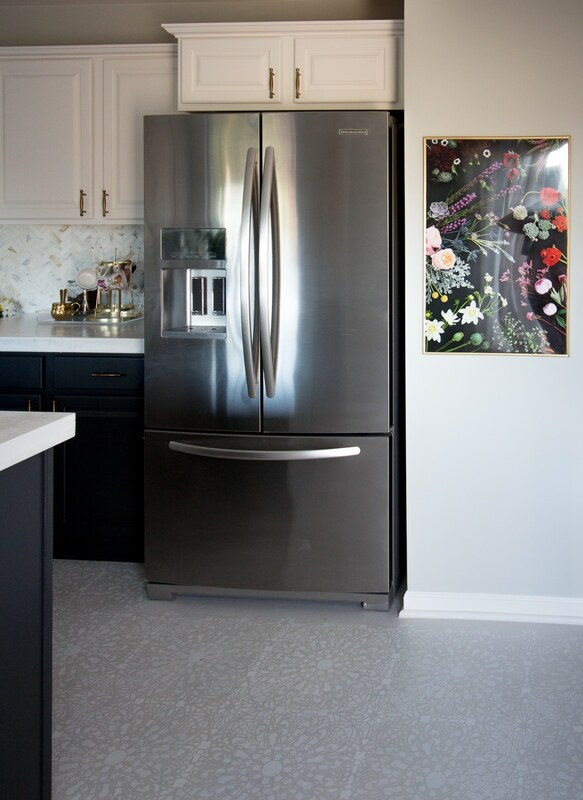 In our recent kitchen makeover, I decided to add this Floral Art from Jenny’s Print Shop. I ordered a large poster size print from Walgreens and sprayed a poster frame gold. 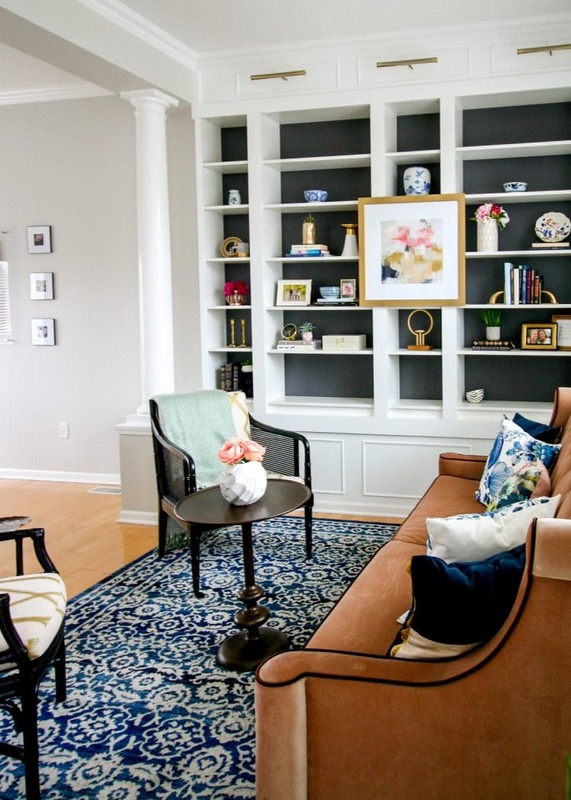 I love the drama of the dark background and the pops of color it added to our space. What’s even better is that without spending any more (other than a printing fee) I can add this art print somewhere else in my home in a different size. PS: Some of the upcoming links are affiliate links, so Melissa will receive a small commission if you order, but you pay the same price. Win-win! This Typography Art hung in our foyer totally sums up my philosophy on life and it makes me smile every day. 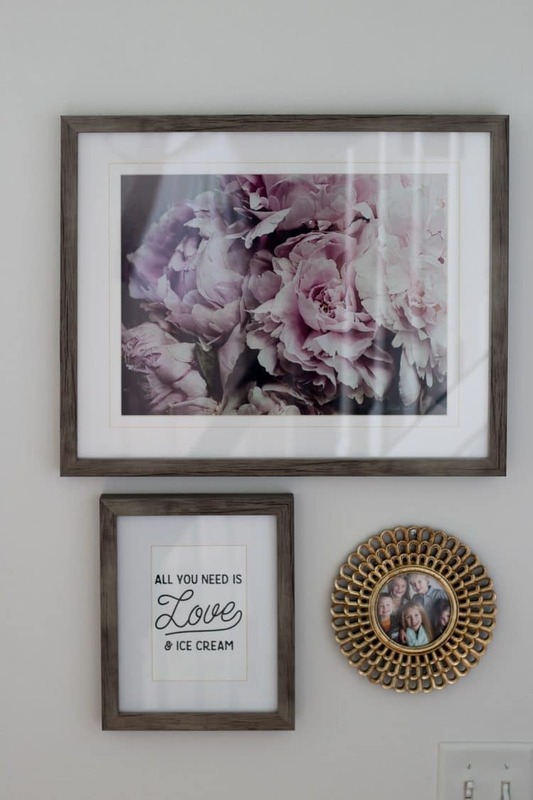 I love mixing something cheeky with a framed family picture and bit of color in the peony print. Yes, I frame wallpaper samples. And greeting cards. And pages from books. For very little money you can have a unique framed print that can stand alone or as part of a gallery. Look around at things you may already have – a sweet card you’ve received as a thank you, a great art book, or even a postcard someone sent you from their travels. I bet you’ll find something that would look fantastic behind some glass rather than collecting dust in a drawer. This Leopard Print Paper is a House of Hackney wallpaper sample that looks just gorgeous in a gold leaf frame and the oversized mat – and you guessed it it was free! Ah, wallpaper makes me swoon…. Now, I’m going to share a little secret with you – Wallpaper Direct lets you select up to three FREE samples that are 8.5 x 11 in size and they will ship for free. 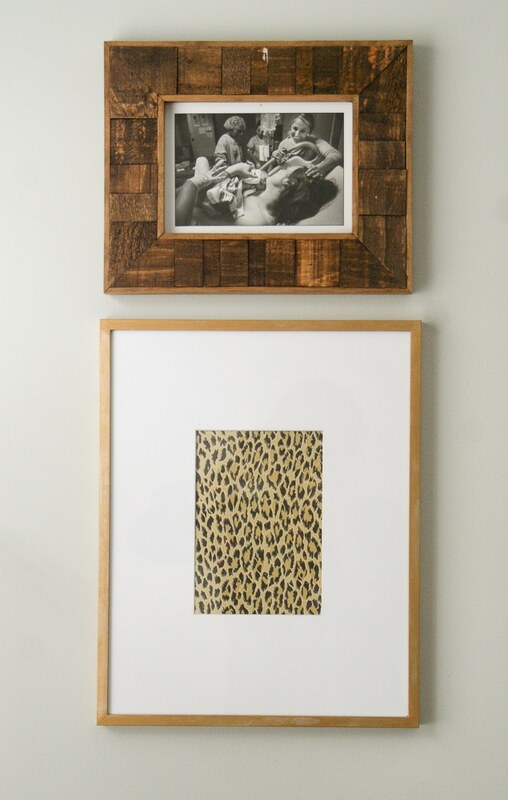 Pop those prints into a frame and BAM instant art! How great is that?! This sweet little print I took from a Kate Spade book. Just use an exacto knife to carefully remove the paper and place into a frame. I typically find decor and design books at used book stores so the investment is small – but Amazon is a great resource for decor and design books also. Heck, even buying art books with prints you may never be able to afford otherwise is a great option! 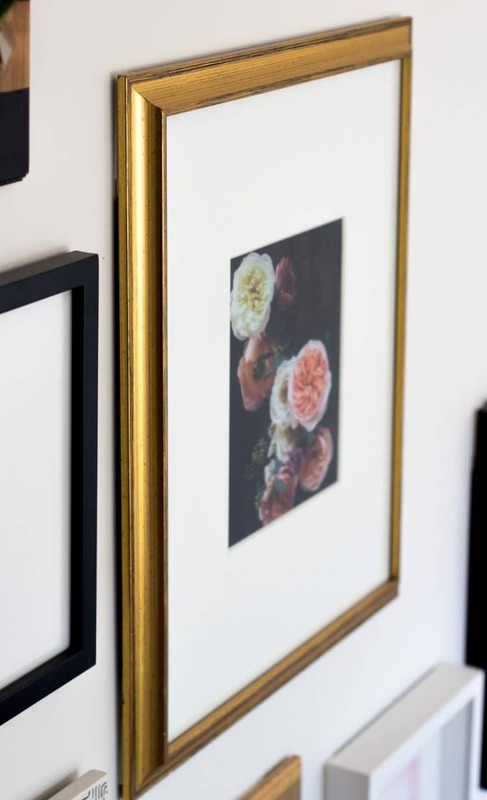 Grab that exacto knife and place the pages into frames to achieve the gallery look. Here I framed a business card from The Bloom Workshop – it was just too pretty not to be framed! In our dining room, I matted and framed this blank card set from Kari Herer. 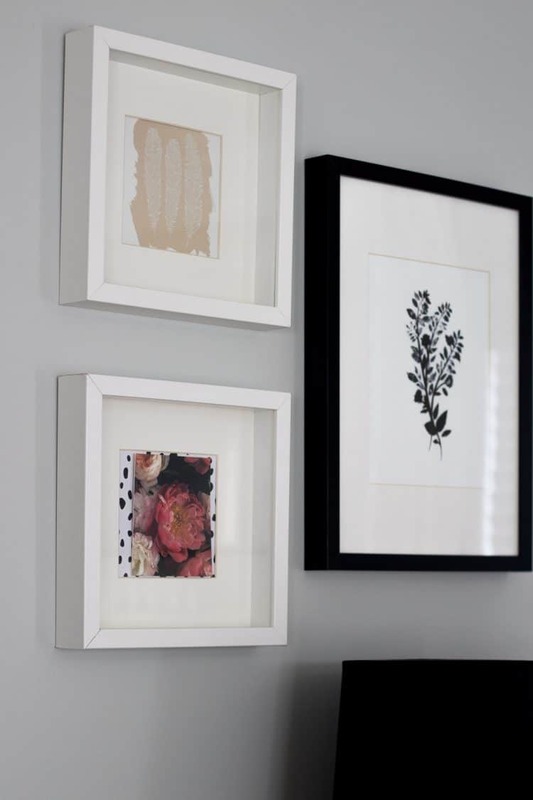 An artsy set of notecards and a great inexpensive way to create wall art. The Kari Herer set was about $15 for 20! Of course, we can’t forget the good ‘ol fashioned art prints! I love supporting artists and having their work hang on my wall – there’s something special about knowing a piece was created and hand-crafted. The framed Pink/Green Art is a Parima Studio print – if you haven’t ever checked out her work you must! Her art is affordable, colorful, and just gorgeous. I love it so much I have 2 prints! Here’s another Parima attached to our built-ins. 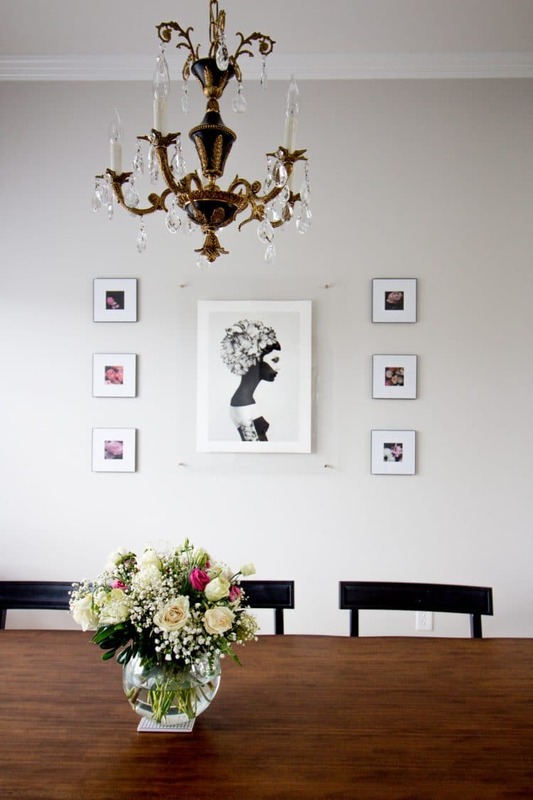 In our dining room I wanted something that was classic and bit quirky and boy did I find that with the Marianna print from Society6! Society 6 is a fantastic option for affordable art! 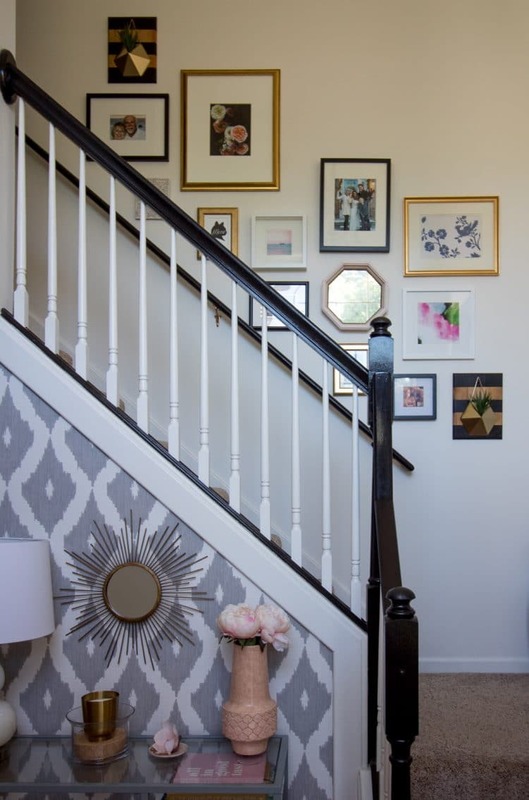 Our stairway gallery wall features a Black Floral Art Print from Kari Herer as well as many other types of art we’ve discussed so far! 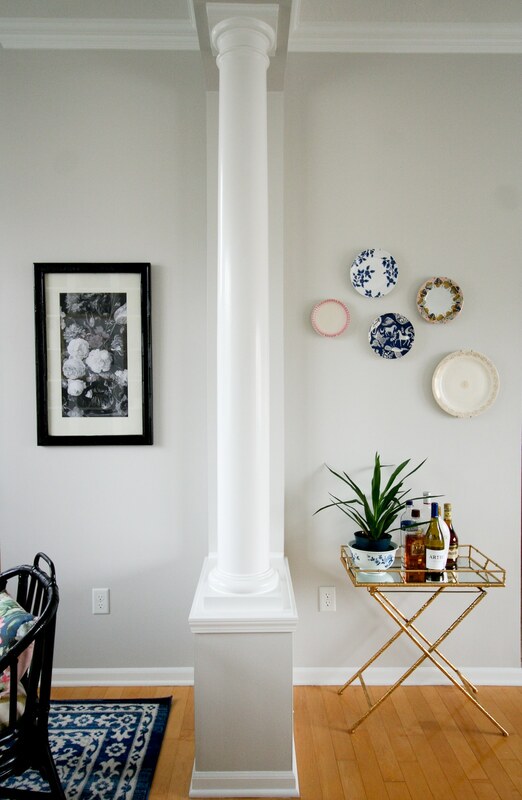 There’s framed wallpaper, framed notecards, downloaded prints, and more! 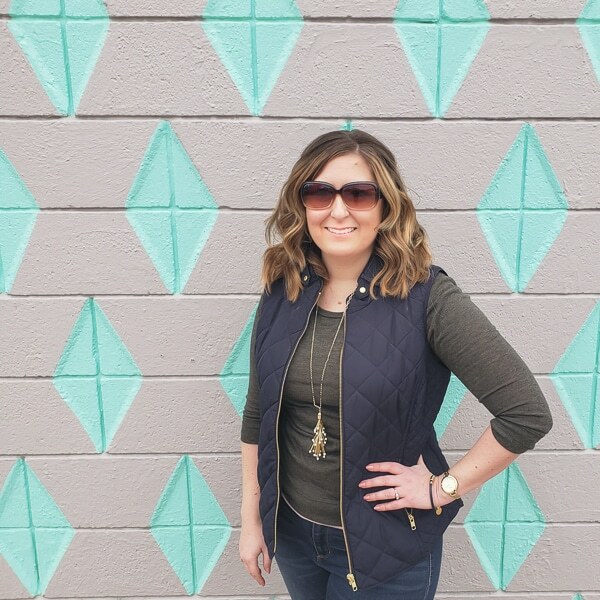 If you’re really feeling crafty you can DIY your own wall art like Melissa did! 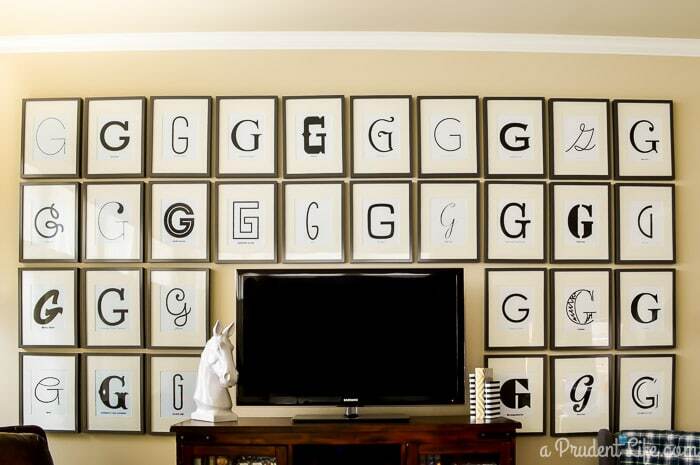 I mean – what an impact that letter gallery wall has! And aside from the cost of IKEA frames this was a free project! So there you have it, friends! 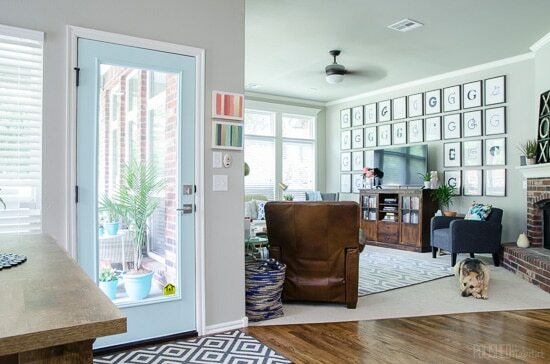 Wall art doesn’t have to break the bank – with a little creativity and some online searching you can fill those frames with something colorful and unique. Update: Colette shared another awesome cheap large-scale art idea here. I added a Pinterest image below so you can save all these sources for later! Where are your favorite places to shop for art? « How to Get Rid of Flying Insects In The House – Without Chemical Insecticides!